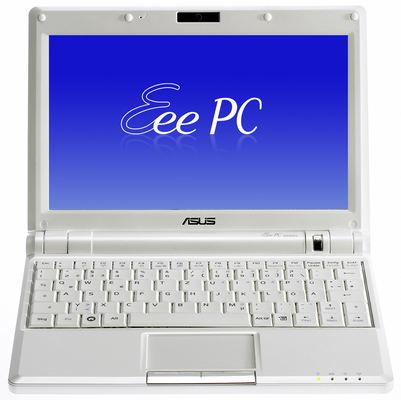 CeBIT Asus is showing the 8.9in Eee PC at the CeBIT show this week, but while it hasn't formally announced the sub-notebook's specs yet, Taiwanese moles have quickly rushed in to fill in the blanks. 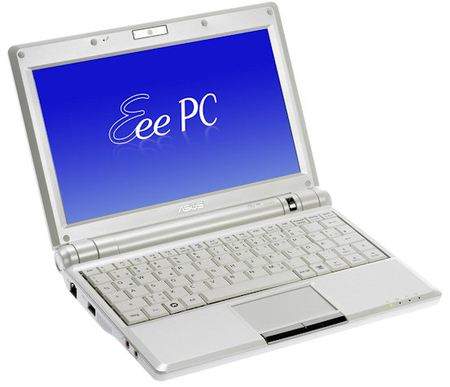 The laptop is expected to debut as the Eee PC 900. The 8.9in display has a native resolution of 1024 x 600 bringing some welcome extra screen real estate. According to sources cited by Chinese-language site HKEPC, the 900 will come with a choice of 8GB or 12GB of solid-state storage when it goes on sale in Q3. Shots of the machine reveal it's almost identical to the current Eee, just scaled up slightly to accommodate the bigger screen. Expect the standard three USB 2.0 ports, Ethernet, 802.11b/g Wi-Fi, SDHC card slot, audio I/O sockets and 0.3-megapixel webcam. There's no indication of what CPU and memory complement the 900 will contain, but the announcement yesterday of Intel's Atom processor - aka 'Silverthorne' - which was designed specifically for low-cost, handheld PCs like the Eee, means it has to be the most likely choice. Memory? 1GB running to 2GB on bigger-SSD machines, we'd say. It's also being reported that the Eee 900 will cost €400 (£306/$608) when it ships over here, but we've yet to receive confirmation of this from Asus.